We like BH Fitness machines. They have a distinctive style regardless of whether it’s a budget or top of the range model. 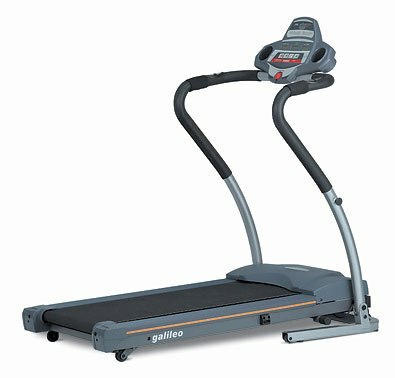 The Galileo is a treadmill for today. Your bank may be about to fold but at least the guaranteed savings scheme will easily cover the cost of the Galileo. 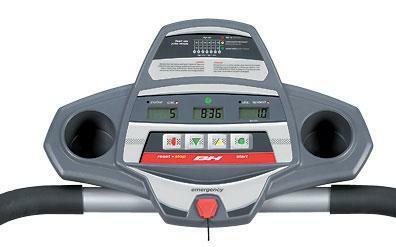 It’s a basic, no-nonsense treadmill ideal for beginners, walkers or joggers that will get you into shape. Yes it’s a budget model so you can’t expect too many frills but what it can do it does really well. The variation in the pre-set programmes will be enough to ensure you’re motivated and keep you coming back for your daily workout. 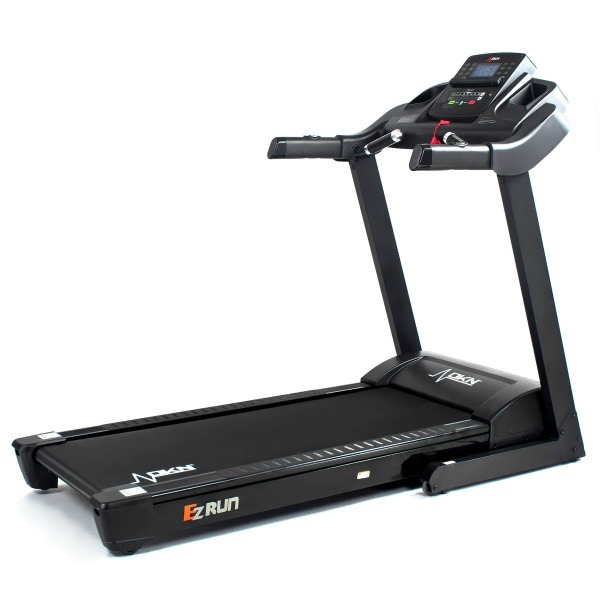 With its relatively low top speed of 7 mph it’s not suitable for serious runners but if you’re new to jogging or intend to use it for walking during the dark winter nights it’s ideal. The powerful 2 BHP motor is very quiet and comes with a lifetime guarantee – which is excellent for a budget model. 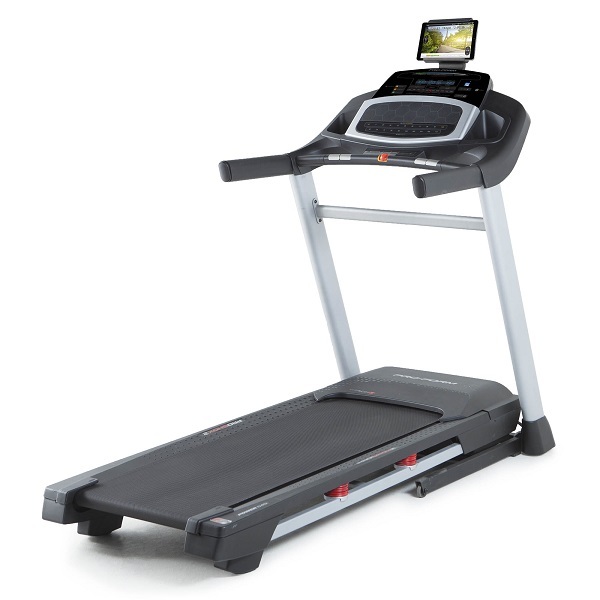 The running deck is a little small although this won’t be a problem as you’re not going to be sprinting on it, besides it does mean it folds away to a very compact size for easy storage. The folding mechanism is good and due to its lightness it’s easy to move although if you have a thick carpet the small transport wheels may not work as well as they should. Although it’s a light, compact model it’s fairly sturdy but do check your weight. The recommended maximum user weight is only 95 kg, if you exceed this you’ll need to look at the Proform 3.6 as that can take up to 130 kgs. 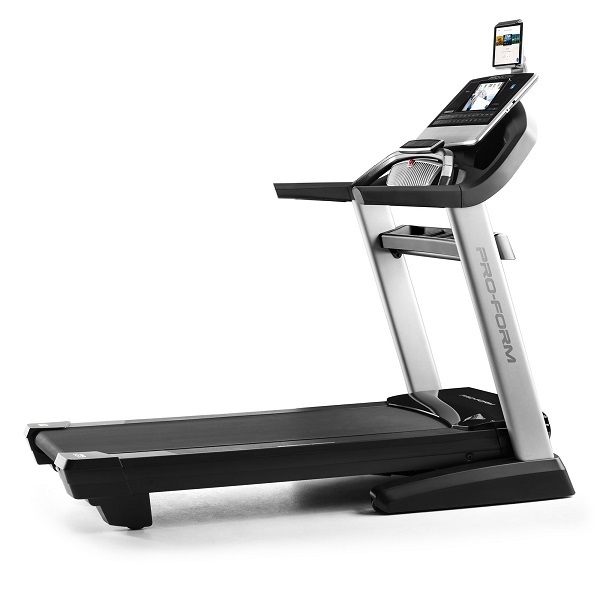 The handles are well-designed and have pulse rate sensors (although there isn’t a heart rate controlled programme). The console couldn’t be easier to use or read. The one bugbear is the manual incline. This means you have to get off to change it, it’s easy enough to do but inconvenient. However, this shouldn’t put you off buying the Galileo as in all other departments it’s very good and can compete on quality with any of the models in this price bracket. 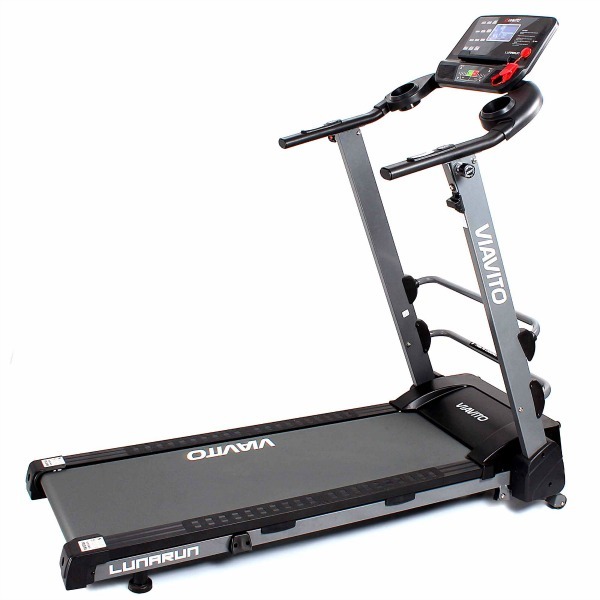 It has an excellent warranty for a machine costing under £500. As mentioned earlier the motor is covered for life, as is the frame, and everything else has two years for parts and labour. The is not currently available from any retailers we're aware of in the UK. 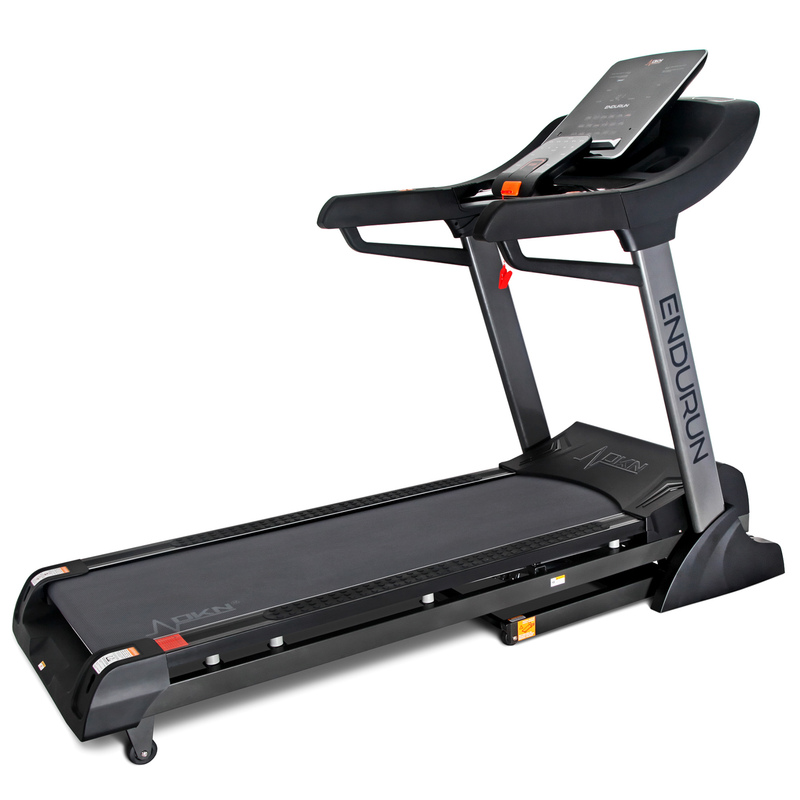 The BH Fitness Galileo is a very well-made budget treadmill that will keep you happy for years. It's incredibly simple to use, quiet in operation, and can easily be stored away when you've finished. 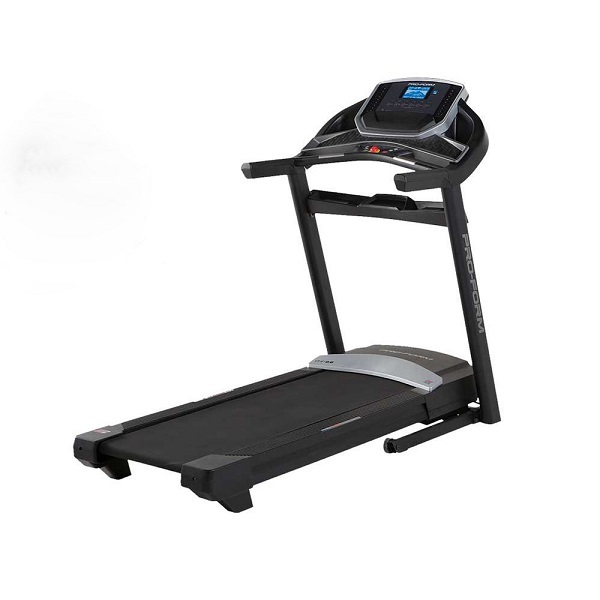 BH Fitness make very reliable machines with excellent warranties and for this price it's practically an automatic choice for beginners and walkers." The console is well-laid out and very easy to use and read. Good variation of programmes to get you fit. Very light (but reasonably stable) and easy to move. The folding mechanism is very easy to use. 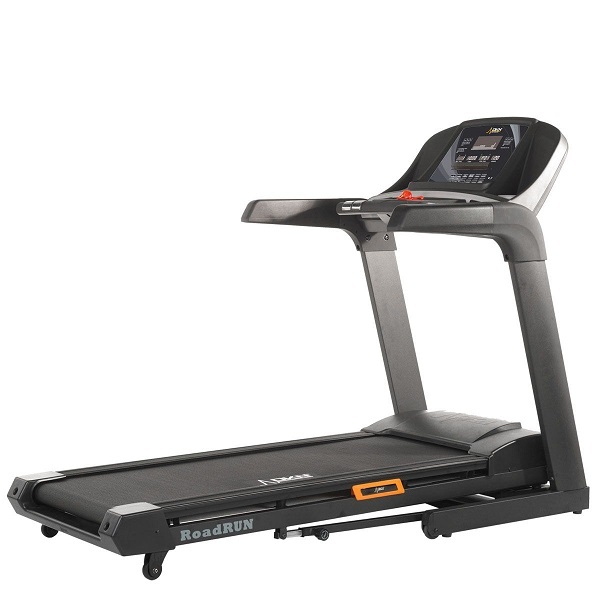 Good sized running deck for a budget model, and comfortable. The manual incline - you have to get off to change it. A slightly higher top speed would be welcome. Quite a low max user weight of just 95kg.